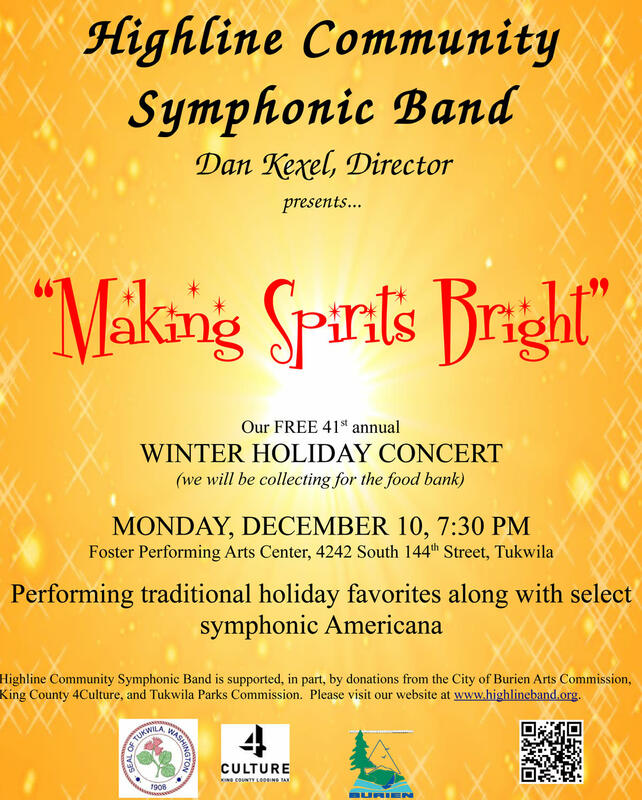 The Highline Community Symphonic Band was founded in 1971 by Wally Rantz. At the time, he was the Band Director at Tyee High School in Seatac, Washington. The band was originally founded as a teaching tool for parents who wanted to experience the same thrill and excitement their children did through the learning and performance of music. Over the years the ensemble has come to be considered one of the premier community wind bands in this part of the country. Members of the ensemble now come from throughout the greater Seattle area to rehearse and perform quality wind band literature. HCSB provides a venue for local amateur musicians, post high school to senior citizens, to continue or return to the enjoyment and challenge of playing a wide range of concert band music. The band also provides an opportunity for selected high school instrumental students to expand their musical education by participating in a quality community symphonic band.